Professional black car and limo service for the Central Coast and beyond. Our luxurious fleet offers privacy and comfortable seating for any size group, whether you’re traveling solo, with family and friends, or with your company in its entirety. Additional Info - Drop Off Location, Special Requests, Etc. 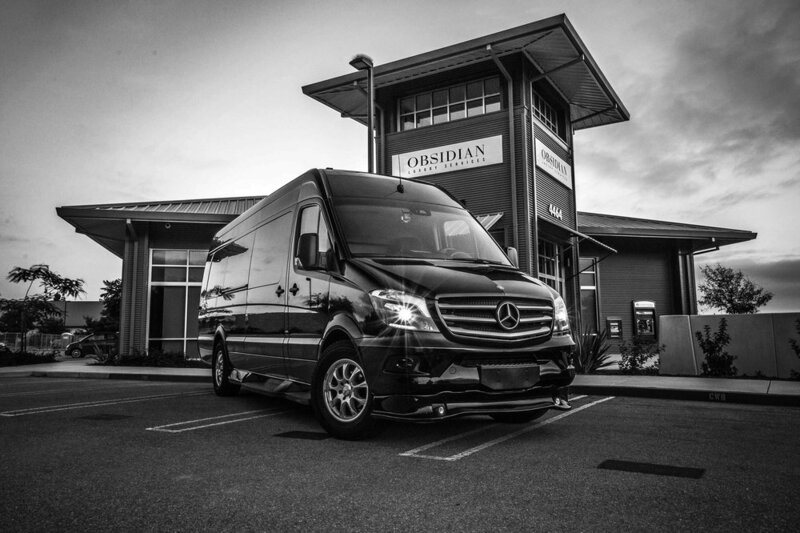 Obsidian Luxury Services offers hourly and point-to-point limo services within and around San Luis Obispo County for airport transfers, wine tasting and brewery tours, wedding party transportation, prom & homecoming and more! We focus on safe and reliable transportation to wherever your destination may be. To learn more about our Corporate & Group Travel Services, click here!